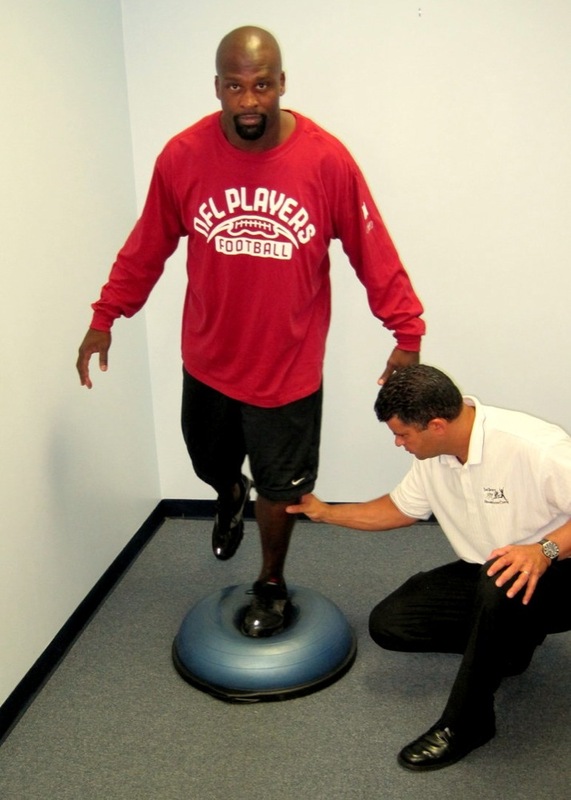 What can I expect from a fall and balance assessment? A fall and balance assessment might be appropriate if you have experienced a recent fall or have felt increasingly unsteady on your feet. 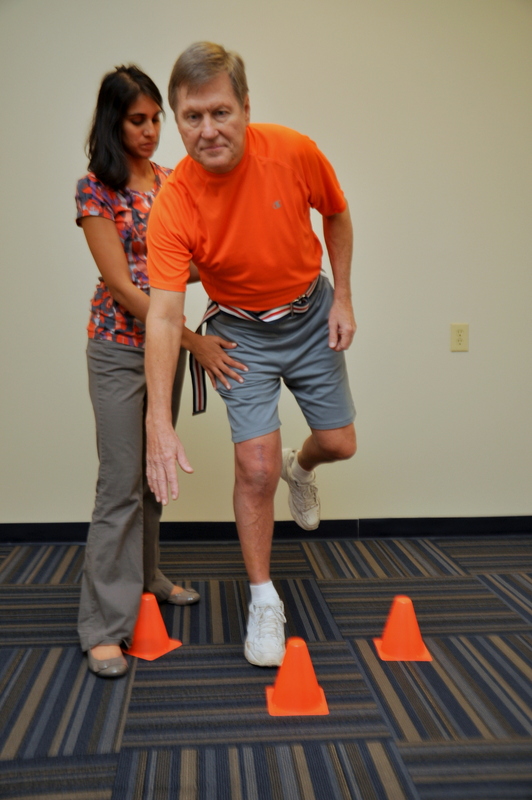 During the assessment, our physical therapists look at several different factors that might contribute to falls or unsteadiness including: strength and sensation of your lower body, your posture, your proprioceptive system (your body’s internal feedback system), your reaction abilities when your balance is challenged and a brief assessment of your vision. 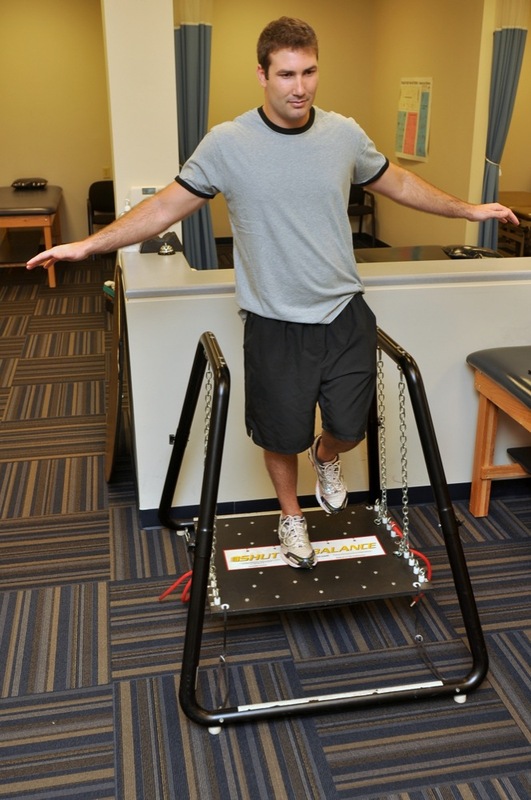 We will perform standardized gait and balance tests and will also discuss strategies to make your home a safer place. What kind of exercises will I do during therapy to improve my balance abilities? We design an exercise program for each individual based on what the fall and balance assessment reveals. In general, exercises often involve stretching and strengthening of your legs, balance exercises in different positions and with different enivronments, postural education and practice walking over various surfaces. Will my doctor be involved in my care? Documentation of our findings will be sent to your doctor. We communicate with your physician at the beginning and end of therapy, and during therapy if needed. Each person has different needs. In general, patients are seen two times per week for approximately 45 minutes. Changes in balance ability typically take one to two months of therapy to notice. Upon discharge from therapy, you will be provided with a home exercise program designed specifically for you. We strongly encourage you to keep up with your home program to maintain what you gained during therapy. Contact us today for more information about fall prevention and balance training.